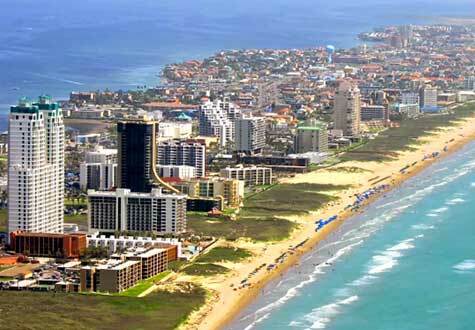 South Padre Island is a barrier island in the Gulf of Mexico with pristine beaches, beautiful clear water, and a tropical climate with an average daily temperature of 74 degrees and nearly 300 days of sunshine! Tourism, real estate development, construction, restaurants, retail trade, and the service industry are the key components of the economy on South Padre Island. A sound, sustainable community relies on strong economic growth to provide jobs, products, services, steady revenue source funding, and enhancing community services. South Padre Island’s primary industry is tourism and recreation related support businesses. Due to the increase in visitors, the tourism industry continues to thrive. As a result of hosting an estimated 5 million annual visitors, the Island is successfully supporting numerous hotels, restaurants, retail shops, and a wide variety of entertainment options. The South Padre Island Economic Development Corporation is a 501c6 and is funded by ½ percent of sales tax collected.